Name of the women's version is To Be Woman. 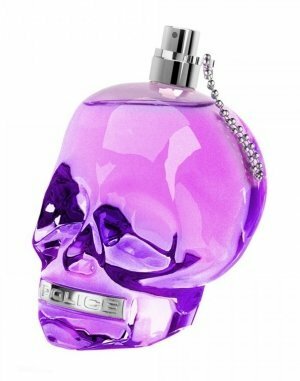 It is available in a flacon shaped like purple skull, aimed at the rebellious, energetic woman who attracts attention with her inner strength and sexiness. The composition includes floral, fruity and musky nuances. Top notes provide a fresh and juicy blend of tangerine, lime and Greeny Smith apple. A heart blooms with white flowers sweetened gently with sweet notes, while a base incorporates precious wood along with musk.